It’s hard to find the words to describe how Yosemite National Park changes a person. As the sun comes up and illuminates the 4,000’ vertical Granite walls, the majestic waterfalls, and the miles of forests made of Pine, Fir, Incense Cedar, and Sequoias stretching towards the pristine blue skies, you can’t help but reflect on the great and awesome God of the universe who chose to create this sculpture in the heart of California. Then you remember… the same God who created the most beautiful National Park in the world created me on purpose, and for a very special purpose – to honor and enjoy Him. Now add to this experience the opportunity to be there with friends, family, and your Bayside Adventure Sports staff who will provide meals, guidance on hikes, bike rides, group gatherings, children’s games, Bible Studies in the mornings, and more. Yes, however you come to Yosemite, you do not leave the same. It changes you. Come and be changed with us. This is our 18th year of this trip, read on about all that awaits you in Yosemite. Because we enjoy God's gift of Yosemite and want to be sure it is protected for future generations to enjoy, we will donate 1% of our proceeds to the Yosemite Conservancy. Amazing Catered hot breakfasts and dinners by Bayside’s favorite cook, Kevin Kauer hosted at our Base Camp. Activities including hikes, bike rides, slack line fun, games, Yosemite Scavenger Hunt, and more! 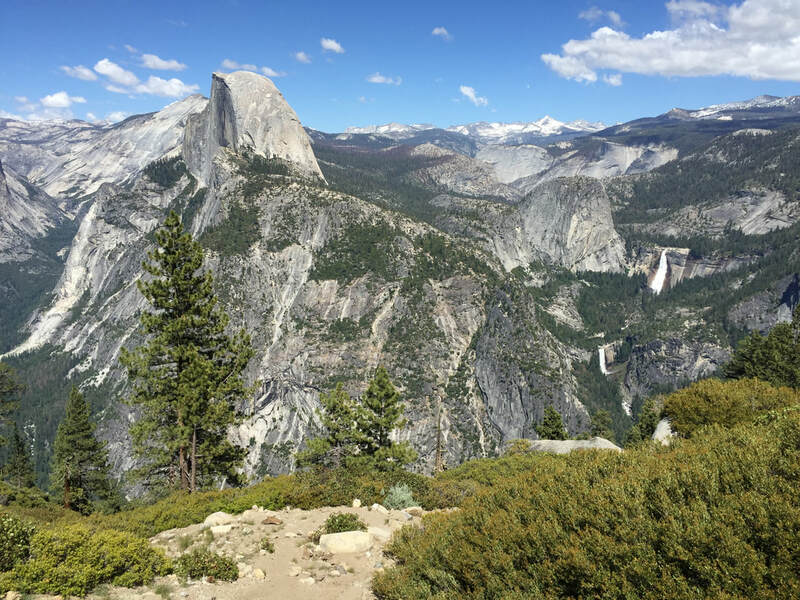 Hiking Half Dome requires special permits that are difficult to obtain. We will attempt to reserve spaces for taking our guests to the summit of Half Dome but we cannot guarantee it. What we can guarantee is our staff taking you on some trails and to special locations that are unknown to most of Yosemite’s guests. Professional instruction, guidance, maps, and resources for hiking Half Dome or any of the other great trails. Group Gatherings with worship, group photos, stories, and a special message by Bayside Adventure Sports Pastor Greg Weisman. Optional Bible Study every morning at Base Camp for all ages.